Beacons and proximity solutions are fast becoming popular with marketers and brands not only for the engaging customer experiences they generate but also for the valuable data analytics and insights they gather, like, footfall metrics, engagement rates and repeat visit patterns among others. Gathering such important metrics was so far possible only by big brands through their own native app that leveraged iBeacon technology. With the recent introduction of Google’s Eddystone beacon protocol, even businesses that don’t have their own app can leverage location-based proximity solutions and gather such similar customer analytics. Eddystone has become so popular that as of Q2, 2016, nearly half of the proximity industry supported the Eddystone protocol, up from 45% in Q1, according to Proxbook. The Eddystone protocol is very versatile and offers multiple payload types (Eddystone URL, Eddystone TLM and Eddystone UID), and has created excitement among all brands irrespective of their size. Given this growing interest in Eddystone, Beaconstac introduced its very own Eddystone Beacons that allow businesses to easily set up an Eddystone campaign and gather important customer insights. 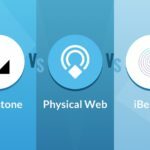 In this post, we shall walk you through some of the key metrics that the Beaconstac Eddystone Beacons are capable of gathering. In addition to custom cards, Beaconstac Eddystone beacons also allow you to send forms (lead generation form and customer satisfaction form) or re-direct customers to any other web page (or URL) of your choice. Growth metrics are indicative of high or low customer engagement rates; when you experience a low engagement rate, you will need to look at aspects such as beacon placement, quality of content etc., in order to boost engagement rates. As discussed earlier, the Beaconstac Eddystone beacons allow you to easily customize and send various forms to customers in order to directly collect information from them. Lead generation and customer satisfaction are the two types of forms that can be sent to customers. Important information like, names, email addresses, phone numbers, and other customer satisfaction responses can be collected through these forms. Unique visitors, responses received and completion rates for all forms used are collated and can be easily obtained on the cloud platform. Thus, if you are looking to leverage beacons and use the Eddystone protocol, take a look at Beaconstac, that includes everything you need to kickstart your campaign in under 15 minutes. Using Beaconstac you can set up your own campaign, without a developer’s help! It should also be noted that a single beacon can be linked to only one URL at a given time. However, at the enterprise level, we offer rolling URLs for a single beacon. This means that, with Beaconstac Eddystone beacons, the URL that is linked to the beacon hardware can be redirected to different URLs once it reaches the Beaconstac server.